I don't know whether it is because it's that time of year or if there's just something in the water, but I seem to have come over all mushy. 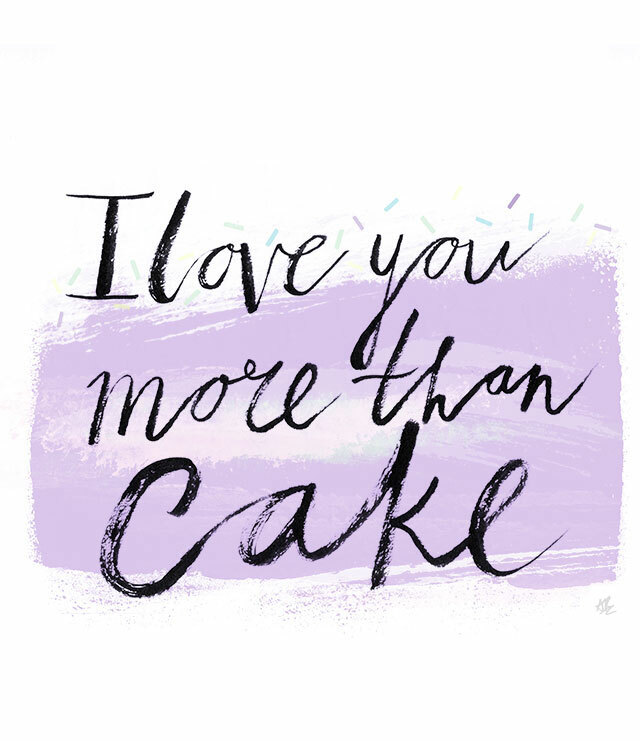 With Valentine's Day quickly approaching, I've been thinking about love over the past few days (I've also been thinking a lot about cake). Valentine's Day itself isn't much of a big deal for me and Kyle, in fact last year we did absolutely nothing and Kyle was actually working that night. Ultimately I think it comes down to the fact that we just don't take ourselves very seriously and both get the giggles at forced romance. My favourite kind of romantic moments are the ones that I don't expect, the little things like being brought a cup of tea in bed or being told that I look beautiful despite the fact I have three-day-dirty hair and no makeup on. An actual example of something that I found exceptionally romantic was when I was stressed about my final project in my last year at University and then Kyle got in from work and presented me with a blowtorch to cheer me up (it was for cooking, I'm not that weird). The point of this strange stream of consciousness is that romance, just like cake, comes in many different kinds. The trick is finding the kind you like best. 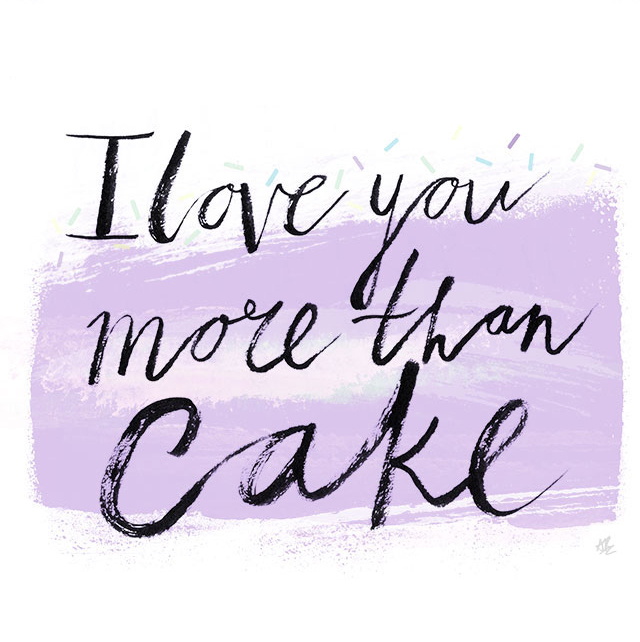 The image 'I Love You More Than Cake' first appeared on The Peppermint Pencil. I'm with you- my hubby and I don't really celebrate either, but we do it up for the kiddos- a day to celebrate love is always a good one!